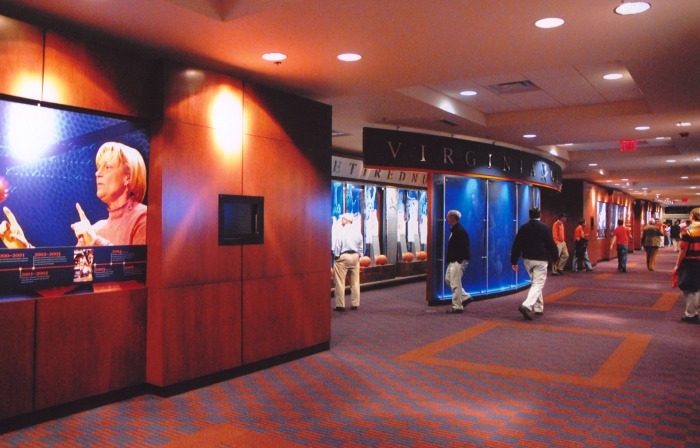 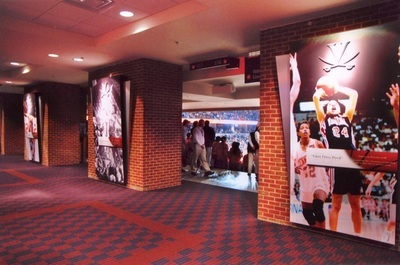 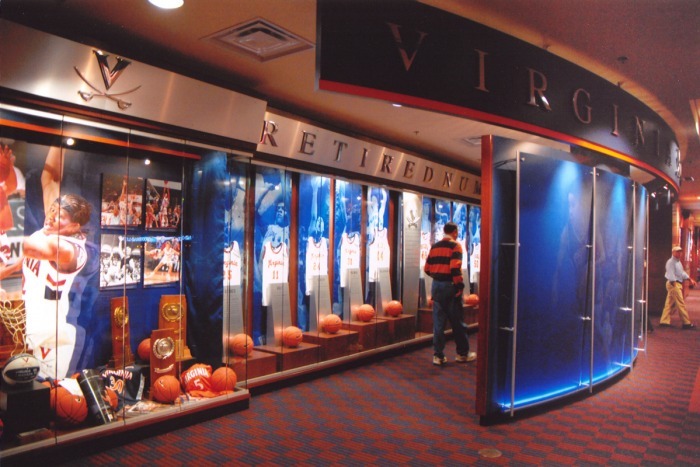 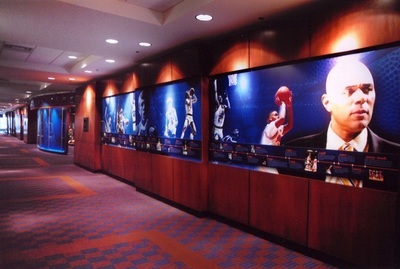 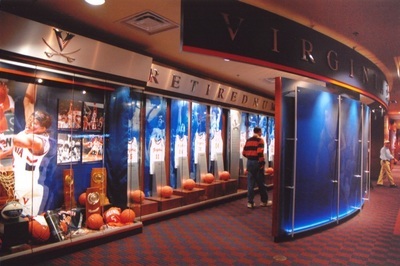 The exhibits for the Wally Walker Virginia Basketball Hall of Fame were created to honor the highlights of the Virginia Cavaliers, the individual players’ highlights, and to also give honor to the retired numbers. 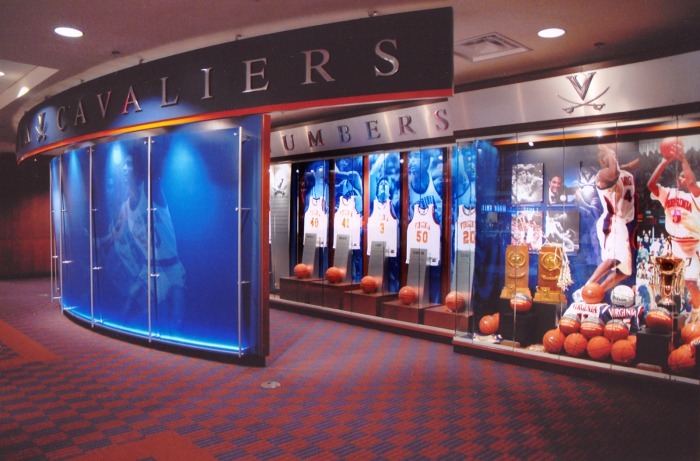 Explus provided the fabrication and installation of the various acryclic display cases that housed numerous artifacts, retired jerseys, game balls, and other team objects. Explus also provided interpretive text panels, large background graphic murals, and informative kiosks.